This 12-hour endorsement program in environmental education, the result of a collaborative effort between EKU's Center for Environmental Education and EKU's Department of Curriculum and Instruction, will provide teachers P-12 with the skills to be a leader in environmental education in the classroom, school, and/or at the school system level. The program is constructed in conjunction with national standards developed by the North American Association for Environmental Education and the Master Plan for Environmental Education approved by the Kentucky Legislature. In addition, this program has received accreditation from NAAEE Accreditation: Distinguished College and University Programs. 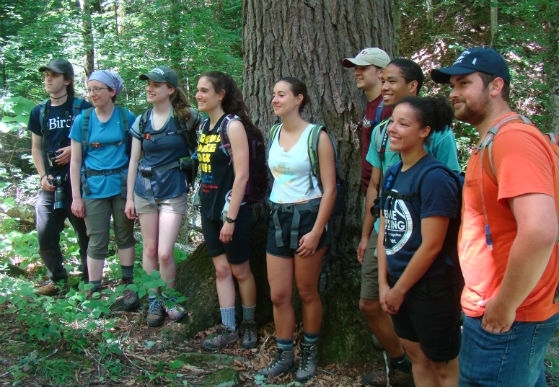 Also, the program has the honor of being one of only two environmental education programs nationally recognized by the National Council for the Accreditation of Teacher Education (NCATE). Completion of the endorsement for environmental education is for persons currently in graduate programs or those interested in extending and improving their professional skills. 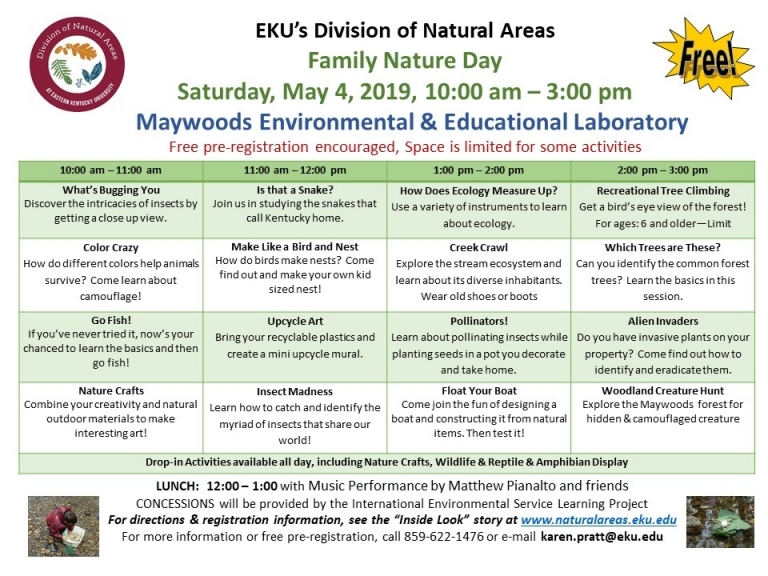 * Note: International Environmental Service Learning, through EKU - Division of Natural Areas, will substitute for either the Issues or Methods Strand.